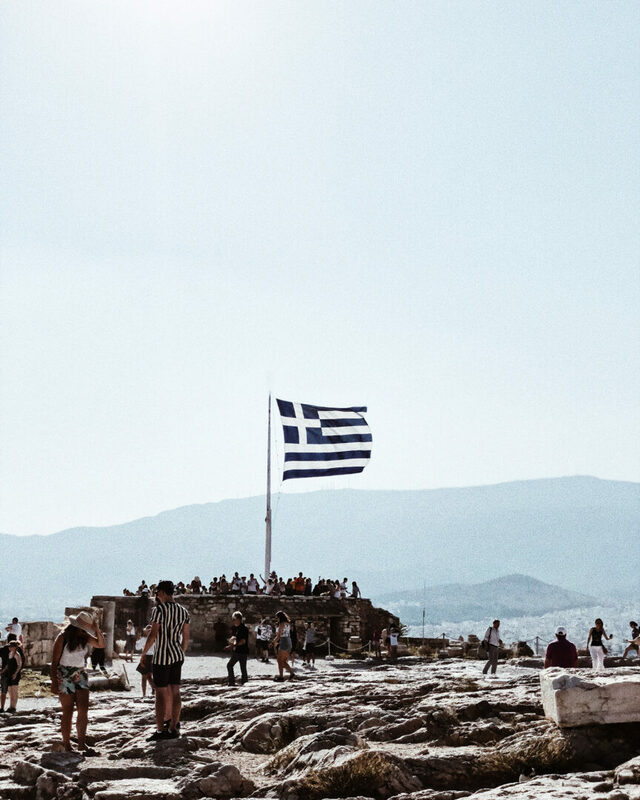 Welcome to our last Greece Guide! 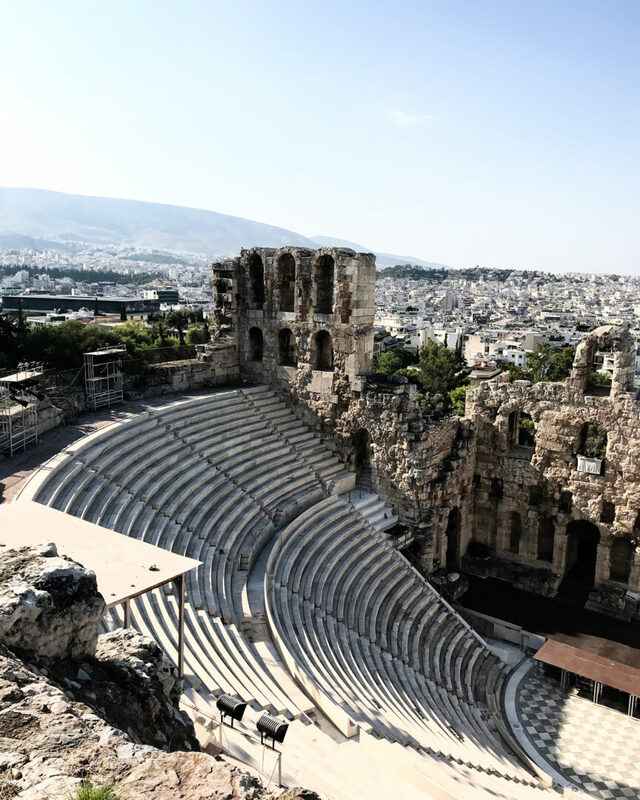 Here we’re telling you some of the best things to get up to while you’re in Athens. 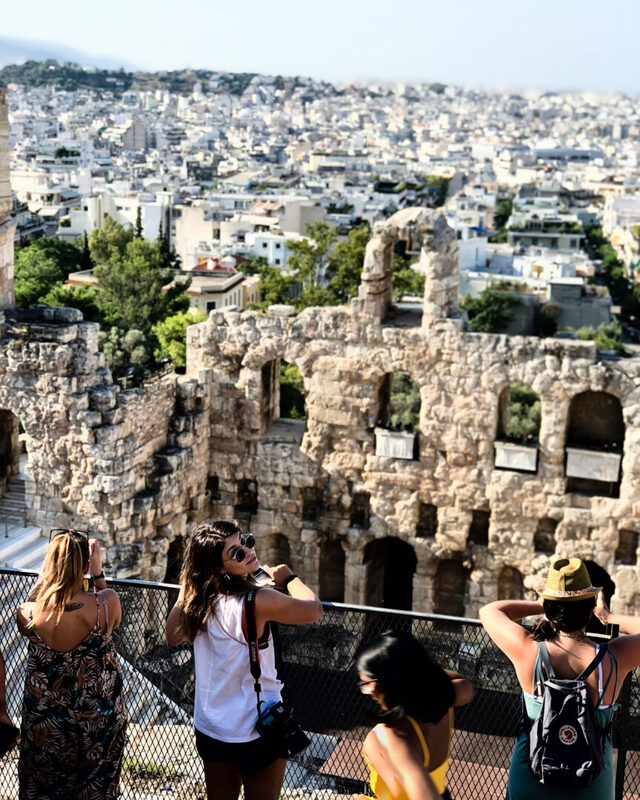 We don’t know why everyone gives Athens a bad wrap, because it’s seriously one of our favourite cities in the world! It’s this awkward blend of ancient, 90’s grunge and Gen Y hipster that makes you feel muddled-up but totally inspired to get lost in the little streets and alleyways. If you have been under a rock and havn’t read our other Greece Guides, we suggest you do – because they’re pretty awesome and showcase some of the Greek islands you may not have considered going to (but that you definitely should visit). Check out our Ionian Islands, Paros, Milos and Santorini Greece Guides. Now, if you’re a ‘Mykonos’ hopper and fly straight from Australia to your party destination, SHAME ON YOU! 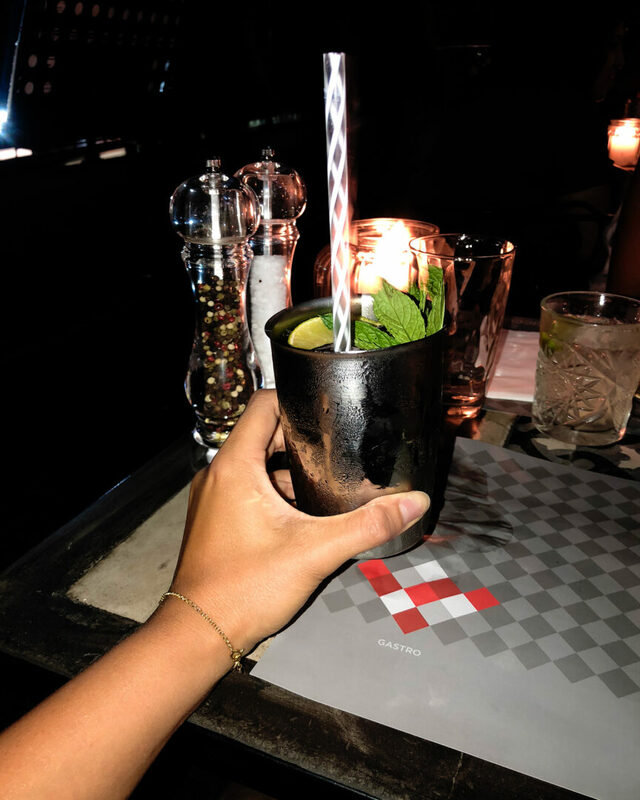 Stopping over in Athens is well worth it if you’re into some epic amount of jewellery shopping (at the best prices in all of Greece), sipping on delicious gin cocktails at any hour and gazing upon the beautiful Parthenon lit up at night. As we’ve mentioned, the city itself is a little rough around the edges. Some parts of Athens are more favourable than others (like it’s best not to stay in Omonia, because it has a high population of refugees and homeless people – take from that what you like) but definitely stay in Monestiraki, Kolonaki and Kolokatroni because they’re all amounts cool, classy but still touristy! 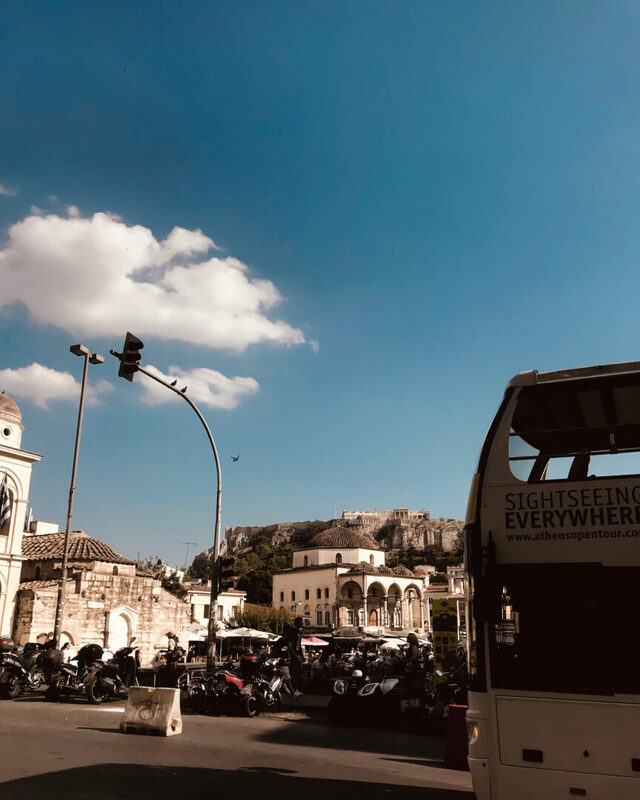 We always like staying about 5-10 minutes walking distance from Monestiraki Square/Station as that’s where we generally like to walk around and where most of the fun/touristy things happen! ONE Walk around Monestiraki and surrounding streets, because it’s really amazing to get lost around there! 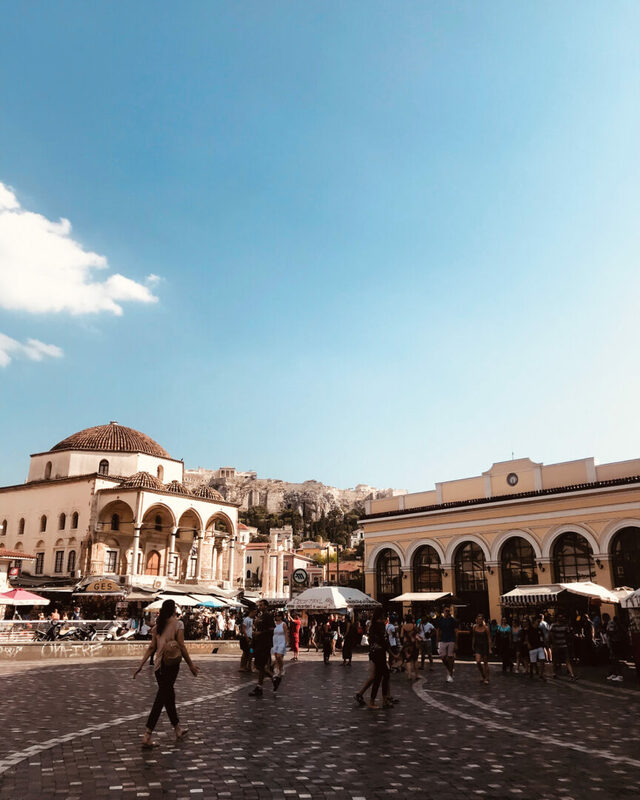 If you start yourself at Monestiraki square you can walk up Ermou (the main shopping strip with major international shops) and find yourself at Parliament House, or you can walk down the Flee Market and find some of the best jewellery in Athens! It’s a really great starting point to your day and you’re found to find amazing things to do, eat and see around there! 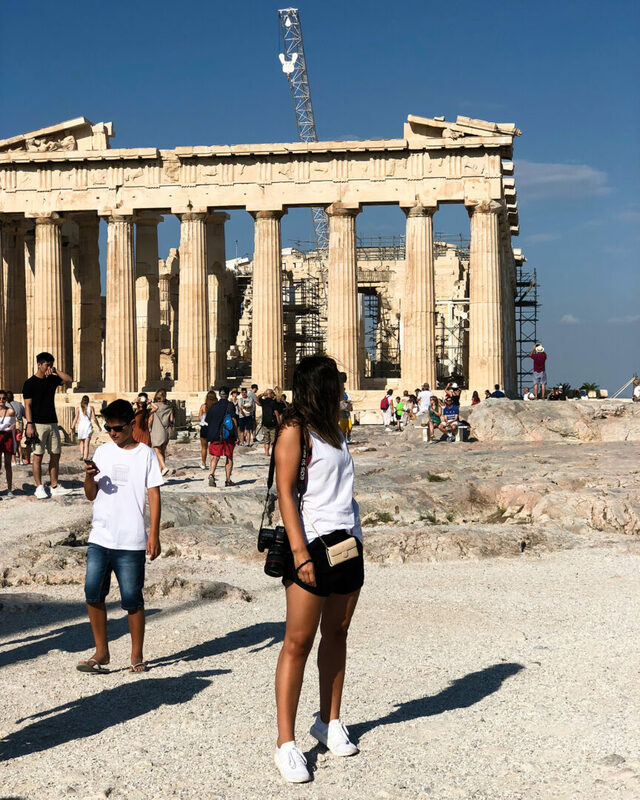 *Tip pay €5 and head to Hadrins Library which is directly off Monestiraki Square for your first step back into ancient Greece. TWO By all of your jewellery from I❤️J Jewellery store, in the Athens Flee Markets (starts at Monestirkai Square). No joke, the BEST jewellery we have ever found in Greece, and really, worldwide. 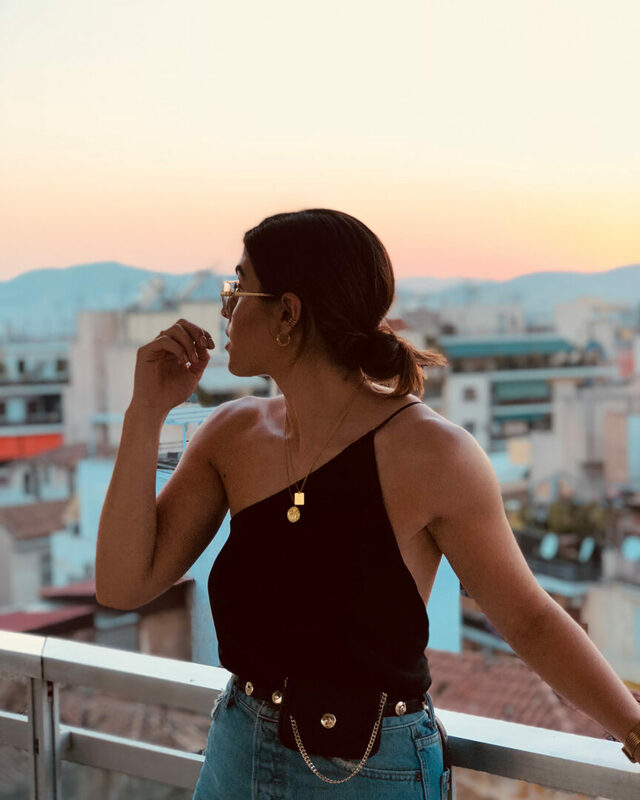 They have the largest range of traditional Greek coins, medallions, and symbols, but also a larrgee range of fashion and trend-focussed pieces. And we can’t not mention that they prices are RIDICULOUSLY well priced. We bought several sterling silver, 14K gold rings for €15 each, when in Australia the would have been at least $100 per piece. We wore them all throughout our trip, in the ocean, in the shower, with perfume and none tarnished or broke. We must add that they do have both silver and gold pieces, as well as mens jewellery, shoes and bags! Bec and I have been to I❤️J Jewellery store every time we have been to Athens (so far 4 times and counting) and they have never let us down! 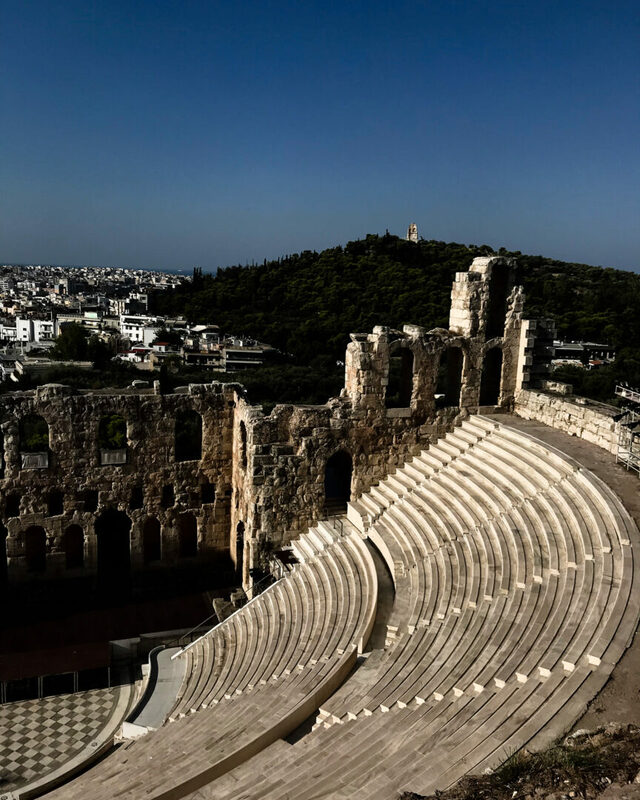 It’s a MUST if you are in Athens, even for a couple of hours – get there. They don’t have a website or Instagram, but it’s about 5 or 6 stores down on the left in the Monestiraki Flee Market. 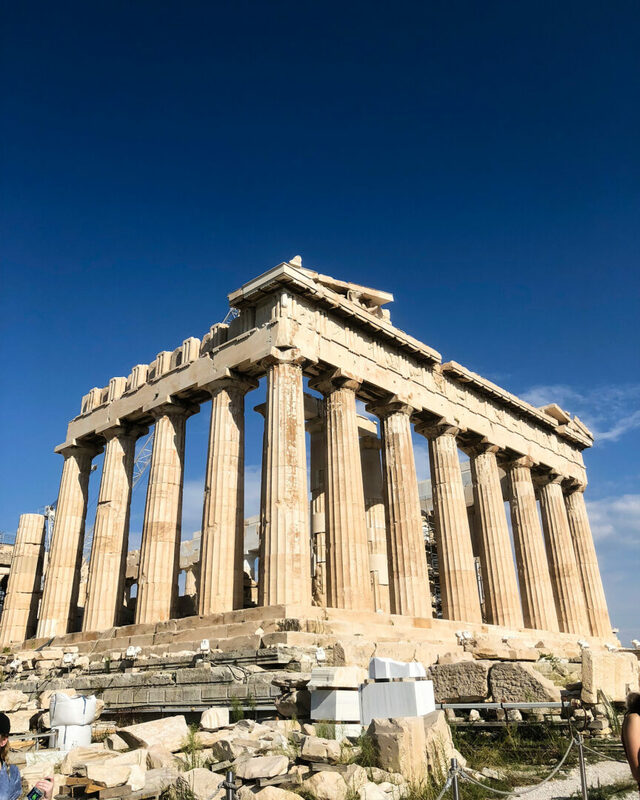 THREE The Acropolis/Parthenon + the Acropolis Museum is an absolute must if you’re travelling to Athens! 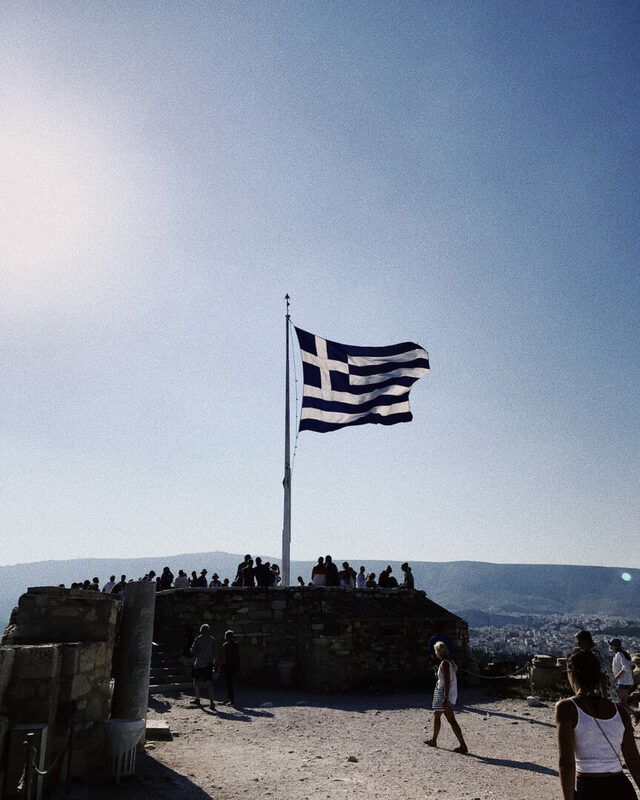 A part from obvious reasons, it’s a stunning sight to see and really beautiful being able to look at the entirety of Athens with the Greek flag flapping in the wind. The Acropolis Museum has also recently been completed and houses the parts of the Parthenon marbles (which aren’t being held at the British Museum) and it’s seriously amazing! So much to read and learn and we were so overwhelmed with how pagan the Greeks were! Haha. FOUR Parliament House to see the changing of the guards is another must-not miss in Athens. At the top of the Ermou road off Monestiraki Square you have the Parliament House and guarding it are two guards dressed in traditional Greek outfits. 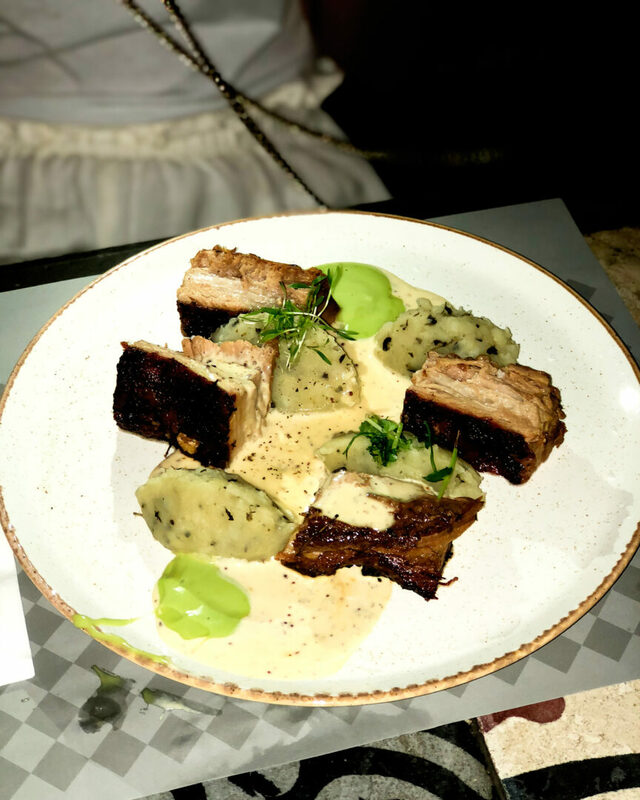 FIVE Ciccus Bar & Restaurant for the best non-Greek-Greek food in Athens. 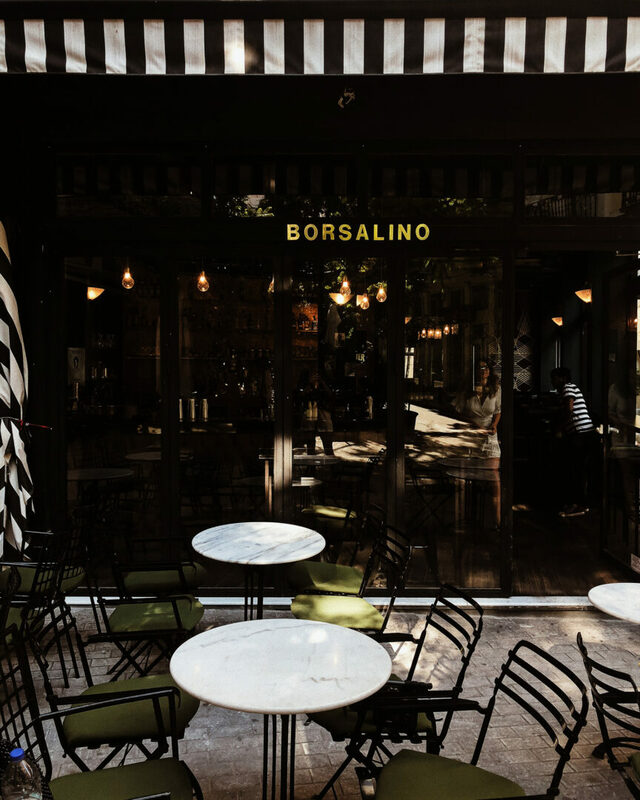 It’s based in Monestiraki (see, we told you everything good was close by) on Adrianou street and it has the most delicious food ever. Don’t be scared that on the menu it says ‘Gastro’ because you wont get sick from the food, they just mean that you’ll find everything really yummy and your tummy will be happy. We also suggest getting the cocktails because they’re also delicious. Just be careful because Greeks make their drinks STRONG. 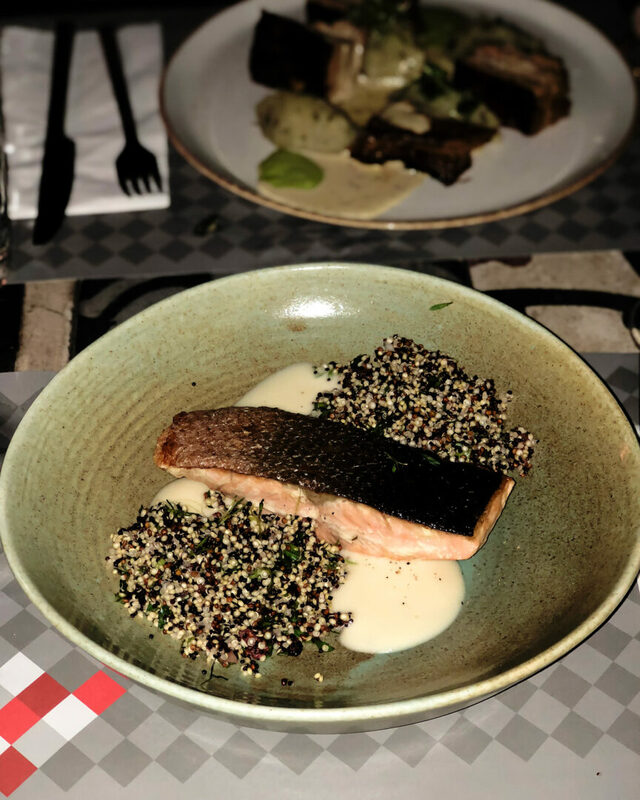 SIX Aiolou Street for great breakfast, lunch, dinner and cafe options! It’s situated just off the middle of Ermou and we ate countless times here. a Definite must! Also head to Loukoumades cafe for some delish Greek desserts!